A&T Travel only co-operates with guides who hold Blue Badges. 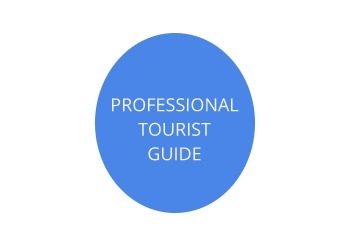 The Blue Badge is the qualification of the UK's professional, registered tourist guides. The first Blue Badges were awarded to tourist guides who were trained for the Festival of Britain in 1951. There are now around 2,000 Blue Badge guides in England and Wales, just over half of whom are London-based. Blue Badge guides work in over 40 languages in coaches, in cars, on foot and on site. Blue Badge guides are the only guides (other than in-house people) authorised to guide in the Tower of London, Westminster Abbey, St Paul's Cathedral, Windsor Castle, Kensington Palace, Spencer House, Oxford and Cambridge Colleges, Shakespeare Birthplace, York Minster, Palace of Holyrood House and Edinburgh Castle. We are delighted to offer best Blue Badge guides in London and Edinburgh. They all have many years of experience, passion and dedication to guiding and are happy to share their knowledge and expertise with tourists and visitors to make their experience enjoyable and truly memorable for many years. Please find below short interviews with some of our guides. They are inviting you to see some of their favourite places and ready to share their well kept secrets. Marina Starkova has qualified as a Blue Badge Guide in 2003 for London and South East of England.